This entry was posted in Debates, Events. Bookmark the permalink. Thanks for the information. I’d like very much to hear the debate, but am unable to attend. Will it be broadcast, or recorded for those of us unable to attend but interested in hearing the debate? As soon as an audio or video recording is available we will post it here. I’ll check and see if arrangements are being made to record the debate. 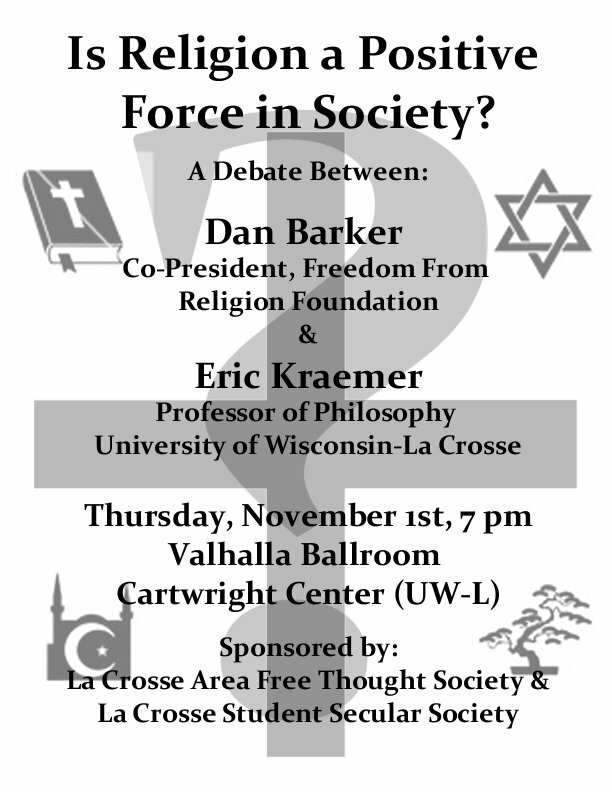 A suggestion: Mention that the debate is free and open to the public on the poster.